December 25th, a special day for Catholicism, is a unique time when the atmospheres spread among people and the sense of belonging to the collective is emphasized. Those born on this date search for a group to fit into, the right people to talk to, but often get carried away by the ideal of belonging rather than caring for their own emotional needs that are to creatively express in freedom. There is a childlike note to this planetary row, and people born on the 25th of December will stay on the move, think fast, and rely mostly on their wit and intellectual strength. They need time to understand the subtle connection of the way they speak and present themselves to the world, with their most intimate desires. In the ideal case, these shouldn’t differ at all, their conversations reflecting on their inner states perfectly as they bravely speak their mind. Eloquent and understanding, they have many ideas to implement and see quality in other people's opinions and words even when others don’t. The second planetary row for this date is showing a challenge with authority figures, their relationship with their father, and how their personality separates from heritage and ancestral rules and structures that became obsolete over time. It is their uneasy task to learn who they are after dealing with loss, difficult times, traumas, or changes in life that have been too much to bear, but once they do, their spirits evolve quickly and with little limitation, with a message to share with the rest of humankind. These symbols speak of testing the water, checking one's abilities and responsibilities before embarking on a new adventure, and a sense of practicality and structure coming from a cautious approach to everything new. Although there is a strong feel of certainty and safety in these lines, their instincts rarely get a chance to work as quickly as they are meant to. Their rational, patient, cautious and steady nature could cost them the beauty of a moment and letting go to the flow of life with all its possible surprises and excitements. Their greatest quality is their ability to assess their true position and all the little steps they need to reach a certain destination. Still, at times they should simply move, dance, sing, do something to boost their creative energies and bring their world to balance with spontaneous movement. The most important entity in lives of those born on December 25th is the Sun. They are to find the inner light and their true personality apart from all connections, outer influences, lights of Christmas trees, and other people, and this won’t exactly be easy if their child within isn’t held on to. Their purpose in life is self-recognition, a chase for joyous creative expression and they might have to give up on status or professional commitments that don’t fill their heart with joy, in order to reach their true potential. 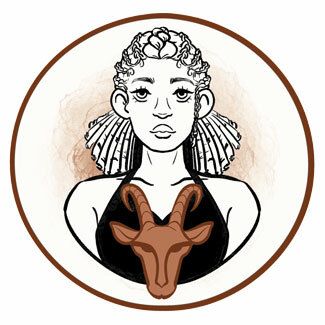 Proud but a bit rigid when it comes to emotional exchange, when Capricorn representatives born on December 25th fall in love, they need time to open up. Most of their primal moves will seem confident and focused, but their insecurity truly lies in the frailty of heart and they will do everything in their power to protect it from any dishonesty and pressure. Their main task is to make room for unconditional love, certain about the boundaries and fences they can create. Belief in self-protection will allow flexibility and a free emotional flow when the moment is right, instead of fear holding them behind walls against those who never endangered them in the first place. They need a partner who isn’t just thoughtful, but also someone they can spend time in silence with and talk to about issues they don’t want to discuss with the rest of the world. Communication is an extremely important part of their bonds, and the need for laughter and shared moments that bring joy needs to be put above their need for security. They are meant to seek another child at heart to connect with, someone pure and loving, so they can protect their romance in unity, instead of protecting their heart from a wrong partner. Someone born on December 25th is an incredible spokesman, profiler, a writer, and the one to use words for practical gain. They are intelligent problem solvers, scientists, programmers, and those who fix mistakes in large systems and software that feels tedious to many others. They excel in routines that require loads of paperwork, but truly need a job that will allow them to connect with others and work on communication skills that will become useful on a much larger scale over time. They have a message to share and need to follow their gut feeling every step of the way. Siberian blue quartz is an extremely good choice of crystal for someone born on December 25th. Although they will prefer all things natural, this stone represents unified work of men with nature, as it is produced by human effort in a laboratory, but still holds the aligning natural healing qualities as other gemstones. The very essence of this crystal is its pull to connect the human mind with the natural flow, and it is known to help with unbalanced conditions of the prefrontal lobes of the brain. It heals infections of the throat and the spasm of neck muscles, cleansing the throat chakra from poses and dishonesties in one's way of self-expression. 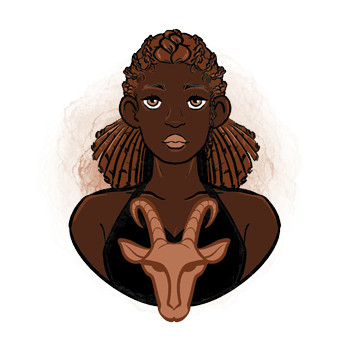 For a birthday of Capricorns born on the 25th of December, you can always choose a new book, some tools and practical gadgets, a new phone, laptop or a car. They love things they can touch and use in their everyday life. It is sometimes a good choice to ask directly what they wish to get for their birthday. Still, their soft side truly cherishes presents that are just a bit cheesy, little messages of love hidden on the last page of a new novel they wanted to read, and engravings that bring out the solid and deep importance of their presence in your life. Subtly show their deep, actual value. Well-structured, intelligent individuals that are able to fix what is broken and hold on to long-term commitments and projects without restraint. They are patient planners and those who see the large map of steps towards a destination. Jumping to conclusions, overthinking and rationalizing in situations that only other people can explain, they become too strict and close their world for people who might have never betrayed them, just because they think they might. In 1954 Annie Lennox was born, a Scottish singer, pianist and activist, who rose to fame as the lead singer of the band Eurythmics and turned to a solo career over the years. She was appointed an Officer of the Order of the British Empire for her "tireless charity campaigns and championing on humanitarian causes". In 1971 Dido (born Dido Florian Cloud de Bounevialle O’Malley Armstrong) was born, an English singer and songwriter who rose to fame with her debut album No Angel in 1999. She stated in an interview that her parents giving her a "whole lot of odd names" was just mean. In 1976 Armin van Buuren was born, a Dutch DJ and record producer who has hosted the weekly radio show A State of Trance. He studied law at Leiden University and although his musical career made him put his law degree off, he returned to graduate. 1758 – The first predicted return of the Halley's Comet. 1815 – The first performance of the oldest performing arts organization in the U. S., the Handel and Haydn Society. 1914 – The western front of WWI goes through a series of unofficial truces to celebrate Christmas. 1946 – Initiation of the first European self-sustaining nuclear chain reaction. 1991 – The president of the Soviet Union resigns and this is instantly followed by the dissolution of the union the very next day. 2004 – A probe is released from the Cassini orbiter, that will successfully land on Titan, one of Saturn's moons, in a couple of weeks.